Miss Paws wishes every mom a Happy Mother’s Day–even those of a different species! Oh my gosh…what a great picture. 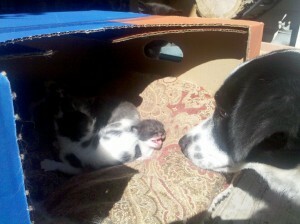 Meg can’t stop talking about the kittens!